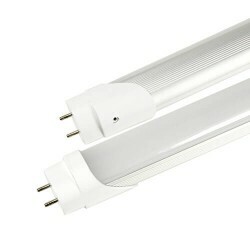 MaxLite LED T8 Linear Replacement Lamps are the ideal energy saving choices when upgrading traditional linear T8 or T12 fluorescent lamps in fixtures containing standard G13 (medium bi-pin) sockets..
MaxLite DirectFit LED T8 lamp is the ideal plug and play solution that works straight out of the box. Designed to deliver over 1800 lumens, these energy-saving LED lamps are quick, easy and safe to..
MaxLite DirectFit LED T8 lamp is the ideal plug and play solution that works straight out of the box. 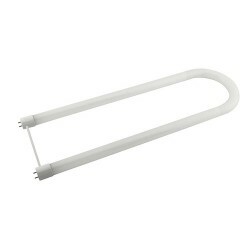 Designed to deliver over 2000 lumens, these energy-saving LED lamps are quick, easy and safe to..
MaxLite DirectFit LED T8 U-bend lamp is the ideal plug and play solution that works straight out of the box. Designed to deliver over 1800 lumens, these energy-saving LED lamps are quick, easy and ..
MaxLite DirectFit LED T8 lamp is the ideal plug and play solution that works straight out of the box. 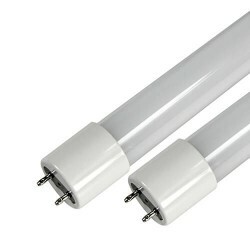 Designed to deliver over 1900 lumens, these energy-saving LED lamps are quick, easy and safe to..